Create and display a mini version of the iconic vehicle used to defend Naboo against the Trade Federation with a stand and name plaque! This comes down to 17.77 cent per brick. 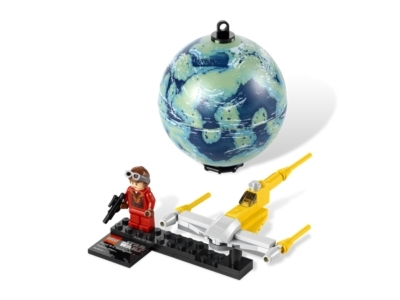 The Naboo Starfighter™ & Naboo™ (9674) Lego set is no longer directly available from the sites below. However, 3rd party partners of these sites might still have the set available.